Eddie Redmayne "grew up" watching 'Thomas the Tank Engine' as a child. The Oscar-winning actor, who recently received his Academy Award for his starring role in 'The Theory of Everything', has been cast as the voice of Ryan in a new film about the animated train engine, titled 'Sodor's Legend Of The Lost Treasure'. Eddie revealed he's a long-time fan of the iconic character, explaining: "I grew up loving to watch Thomas and his pals getting caught up in unexpected and mischievous adventures. "I jumped at the opportunity to get involved and what fun it was. I have never voiced an animated character before, and I had a complete blast." 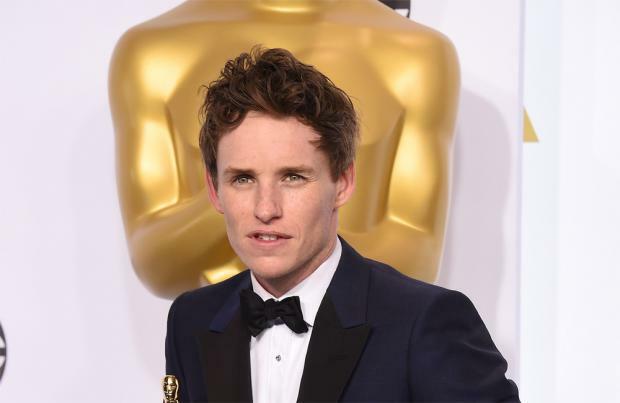 Meanwhile, Professor Stephen Hawking recently said he was "very proud" of Eddie's Oscar win. The physicist took to his Facebook page to congratulate the Brit for winning the Best Actor Academy Award at the ceremony at Los Angeles' Dolby Theater for his portrayal of the professor in 'The Theory of Everything'. He wrote: "Congratulations to Eddie Redmayne for winning an ‪#Oscar‬ for playing me in The Theory of Everything Movie. Well done Eddie, I'm very proud of you. -SH (sic)"
The little blue engine and his friends embark on a spectacular new adventure scouring the Island of Sodor for lost treasure.